Judge Jeff Carpenter serves Union County with honor and integrity as Superior Court Judge. Judge Carpenter presides over the Criminal and Civil courts of Union County seeking justice and fairness for all of those who appear before him. 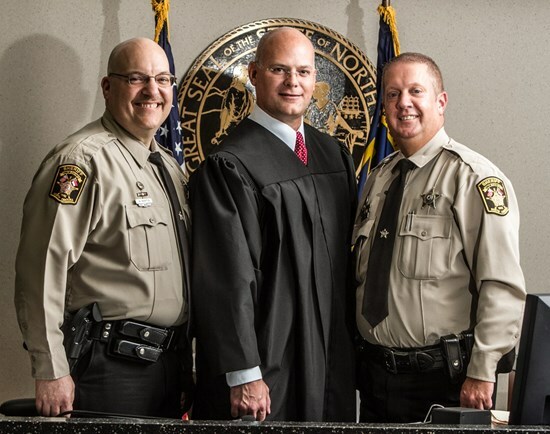 The former North Carolina State Trooper and trial attorney was appointed by Governor Pat McCrory in May of 2016 to fill the vacancy on the Superior Court bench created by the retirement of Judge David Lee. Judge Carpenter won a contested election and was elected to serve as Resident Superior Court Judge for Union County on November 8, 2016.